If this isn't defining the relationship, I don't know what is. In the Toronto selfie Drake posted on his Insta after his VMA speech, he, Rihanna, and a camouflage shark stuffed animal pose at the CN Tower. LaineyGossip reported the pic was from a date one month ago, when Rihanna flew all the way from Europe to play Drake's OVO Fest with him. 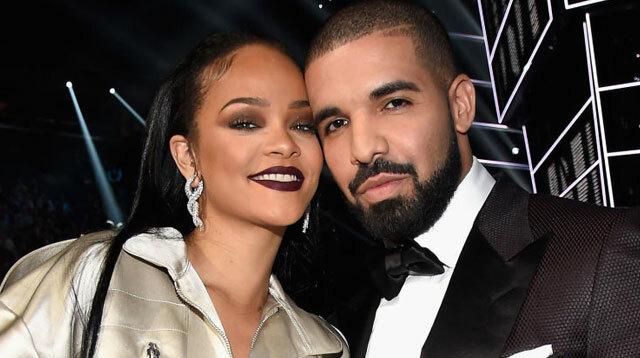 Drake took RiRi to the city's Ripley's Aquarium that Sunday night and booked out the place, sources told the blog. They reportedly had a romantic dinner in front of the fish and stayed right until dawn.